Be one of the few, not the many. We are Hervey Bay's longest running and only award winning sailing tour operator. Brand new superior ecofriendly vessel for 2011. Most experienced with marine mammals - over 31 years, including 14 years with Seaworld and a summer with the Australian Antarctic Division. Whale and dolphin watch operator since 1996. With low passengers numbers, no crowding great views. Depart 7.30am and return 3.30pm or when we are all happy. Morning, afternoon tea and quality buffet lunch with complimentary drink. In water whale experience platform, hydrophone and viewing scopes. 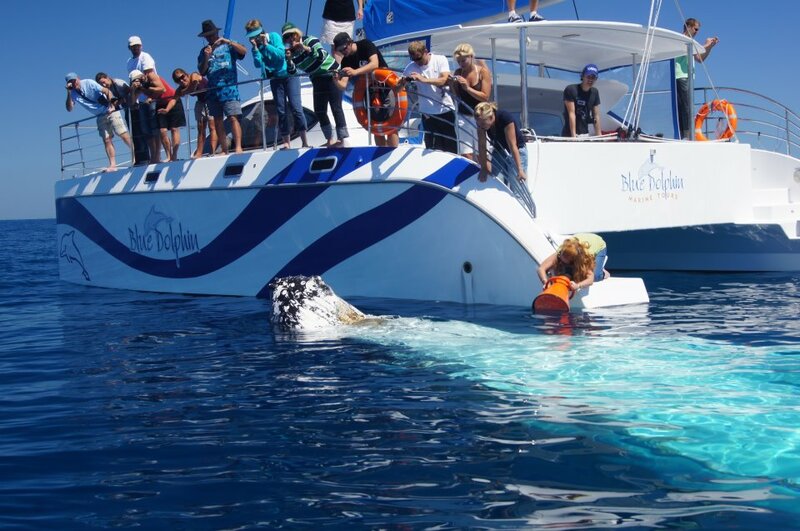 Fast modern sailing vessel giving you the most time with the whales. Full walk around decks and lots of shaded seating. Smallest carbon footprint, responsible whale watching.